Princess Margot, aka Marguerite of Valois, lives in France in the mid-1500's. She is descended from a long line of illustrious nobles. Margot lives to make her mother, Catherine de Medicis, proud, but often feels that she falls short of her goal. Once she arrives at court, she realizes that pleasing her mother requires a delicate ballet of manners. I was fascinated by the details of court life and loved learning through Margot's eyes as she comes of age in a society vastly different from my own. There are also subtle mystical elements about young Margot that fascinated me. I also found the political intrigues taking place in this one to be riveting. Margot is merely a pawn in a political game and she is forced to marry not for love, but in order to further her mother's goals. Margot's life is typical of noble women of the time period who were not allowed to live as they chose, but rather as their family chose. She also finds herself overshadowed by her brothers and later her husband. French history has never been my forte so I was fascinated to learn as I read. I was ignorant concerning Marguerite of Valois before I picked this novel up. I had no idea such a fascinating and infamous young woman even existed; I have been inspired to research more about her. In addition, I learned more about the St. Bartholomew's Day Massacre which is a heart wrenching event. The events that have occurred throughout history in the name of religion astound and sadden me. All in all, this is a tale of overcoming obstacles and fighting for your place in the world. There is plenty of romance, drama, and political intrigue to keep even the most reluctant historical fiction reader entertained. Perinot has brought to life the vibrant and tumultuous history of France during the 1500's. I want to reread this one when I have more time to linger within the story. One Last Gripe: I had trouble losing myself in this one at times. I fully admit this could have been due to a stressful work week and is not necessarily a flaw with the novel. Sometimes books need the right time to speak to us. First Sentence: In my dreams the birds are always black. 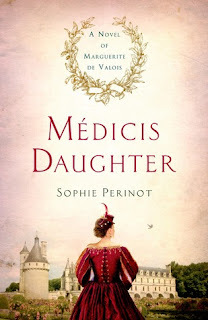 SOPHIE PERINOT is the author of The Sister Queens and one of six contributing authors of A Day of Fire: A Novel of Pompeii. A former attorney, Perinot is now a full-time writer. 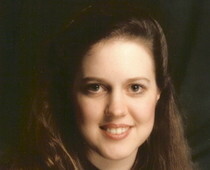 She lives in Great Falls, Virginia with her three children, three cats, one dog and one husband. An active member of the Historical Novel Society, Sophie has attended all of the groupís North American Conferences and served as a panelist multiple times. Find her among the literary twitterati as @Lit_gal or on Facebook.